A Christmas Terrier By Cori Solomon Package of 6 Holiday Cards and envelopes packaged in a clear sleeve. 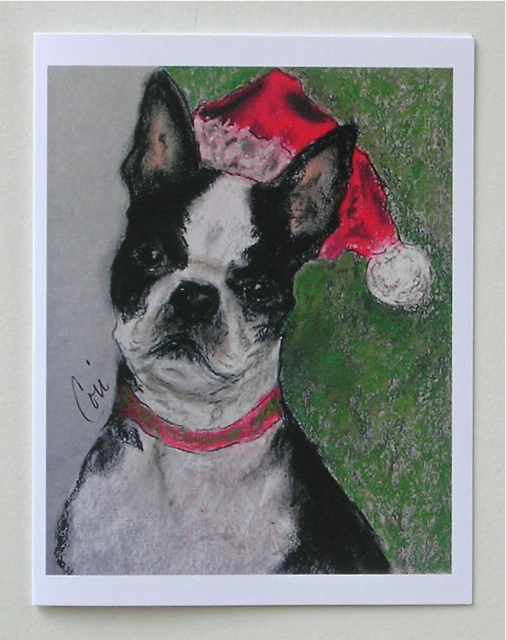 Christmas Cards are designed from an original pastel drawing of a Boston Terrier. Greeting Inside card: "Holiday Greetings". 10% of the proceeds from the sale of these note cards will Benefit Rimrock Humane Society.